For recovery until improvement, 2 times per day. 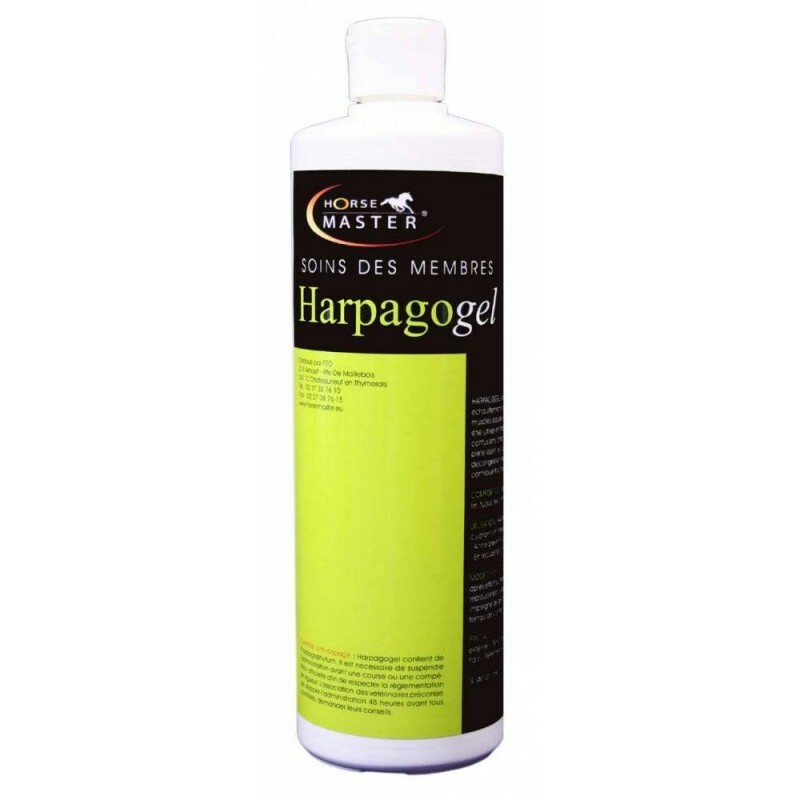 HARPAGOGEL is an external gel intended to alleviate temporary tendon, articulation and muscle pain caused by an intensive workout. HARPAGOGEL is a complete formula with organic sulphur, Hyaluronic acid, fucus and essential oils (rosemary, laurel, arnica, dried cloves, eucalyptus). HARPAGOGEL provides quick temporary relief of minor leg soreness and stiffness. Harpagophytum is ancestraly known for its natural soothing virtues. Fucus (Fucus vesiculosus) detoxifying and re-mineralizing. Organic silicon was initially developed to treat arthritis, and as such as helped relieved pain and inflammation. the grain of the hair until complete penetration. For tendons, impregnated cotton of gel can be placed under bindings to increase the time of contact. Re-apply 2 or 3 times per day. Purified water, plants extracts, binder, preservative. Be careful ! Doping control : The product should be discontinued at least 48 hours prior to racing or competition.